There so many wonderful sites to see in Pittsburgh, so it was difficult to choose what to visit on our past trip. However, when I read about the Heinz History Center, I just knew that we had to visit! You see, it has 6 floors packed full of history! With so much history, there is definitely something everyone will love. We ended up spending over 3 hours there! At the Heinz History Center, history just jumps out at you. No dusty shelves here! When you enter, you are immediately greeted by interesting vehicles including a steel car, a Conestoga wagon from the 1700's and a wagon that transported Heinz products back in the day. Already, history is more tangible, perfect for kids to grasp those things that they have read about in books. Of course, kids need to play! In the Great Hall, you will find Kidsburgh, a two tier play area where kids can learn about Pittsburgh through activity. Once kids are finished playing in Kidsburgh, they can wind down a red slide back to the main hall. There is a video screen set up so parents can watch their kids in Kidsburgh without having to climb to the top tier themselves. Nice! After experiencing the Great Hall and Kidsburgh, we headed to the special exhibit on 1968. This exhibit and its use of multimedia just blew us away. Each portion of the exhibit showcased important events as well as day to day life in 1968. The exhibit intermixes the difficult events of the year with some more lighthearted pieces of culture. When you first enter the exhibit, you immediately encounter the ominous humming of a medic helicopter like those from Vietnam. However, soon you find yourself greeted by '60's TV screens full of the popular shows of 1968. The Monkees, Laugh-In, or Mission Impossible anyone? My daughter loved that part and probably would have sat in front of the TVs for an hour. 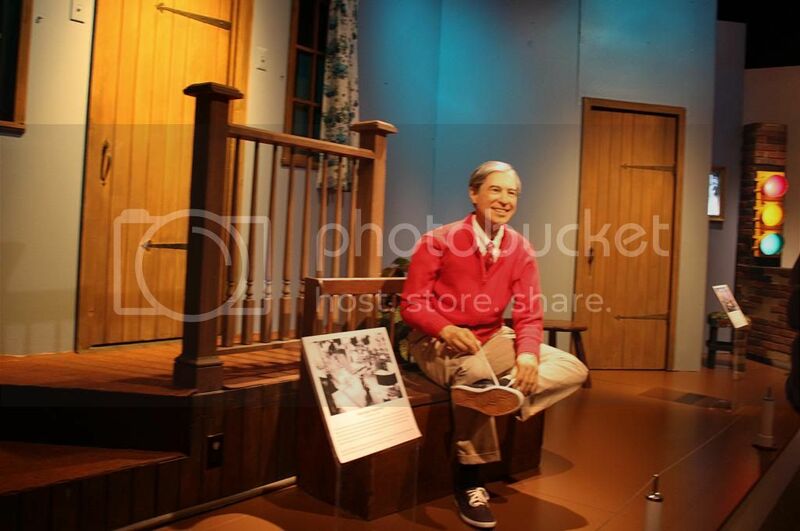 Another highlight--the section on Mr. Rogers. What a way to transport some of us back to childhood? 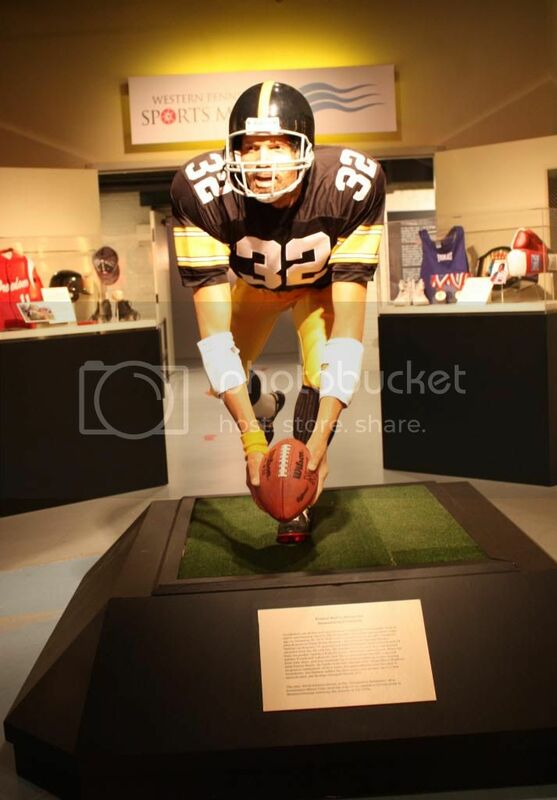 Interwoven in the museum is the Western Pennsylvania Sports Museum. The Sports Museum has a really fresh way of displaying sports. When you enter, you literally walk into a stadium. The museum covered a large range of sports and even included a section on activities that not everyone considers sports. For example, is playing marbles a sport? How about a little debate? There are interactive portions like a place to put as well as a station for kids to create their own medals. Fun! Are you ready to play some football? I was amazed and totally delighted to find a section of the museum dedicated to the French and Indian War. The war is definitely an important piece of Pittsburgh history. However, it is often neglected in other parts of the nation. The war is brought to life with life size figures telling the tale. Plus, I really loved that the signs were not only in English but in French as well. I had fun reading them in French and checking to see if I translated them correctly! 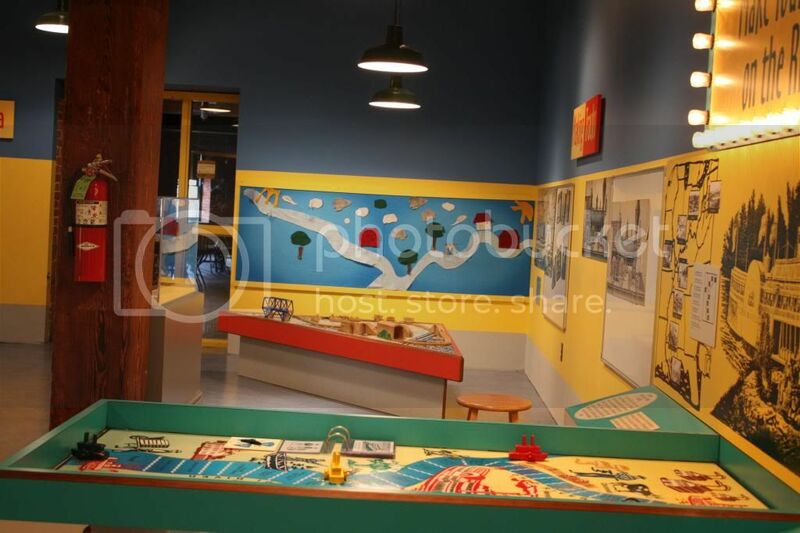 The Heinz History Center had another special gallery full of fun activities that will help kids learn about life in Western Pennsylvania throughout the years. My daughter loved playing the riverboat game with us. You can see by the picture below that this play area is very engaging for children. There are many stations just asking for little hands to explore! 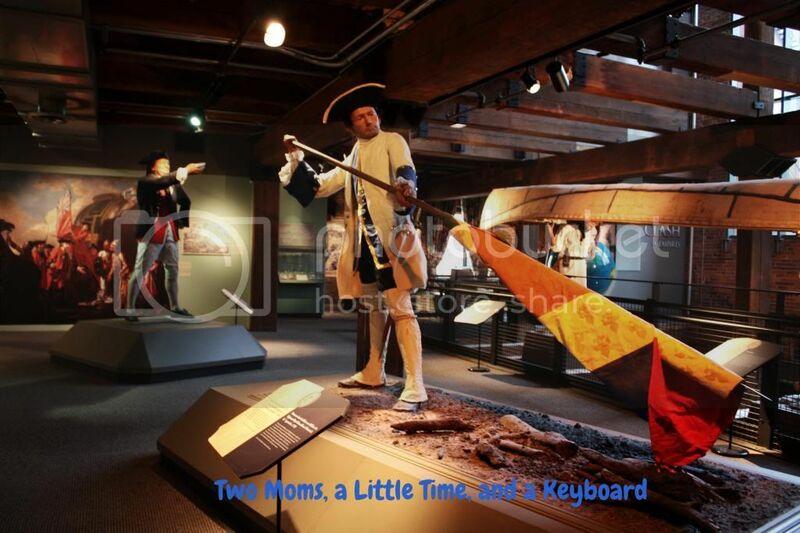 If you are venturing to Pittsburgh, the Heinz History Center is a must. There is so much to explore! Since you will be most likely spending most of a day there, it is important to note that there is a cafe with sandwiches, salads and smoothies. You can even check out their menu before going. Since the Heinz History Center is large, it is also important to note that there are many restrooms that are indicated on the map. Be sure to keep your map handy, especially when exploring with kiddos! If you are up to it, there is also a little challenge for those that like to take stairs. If you take the stairs to all 6 floors and get your stamp, you get a little prize for conserving energy. Nice little things like this make a trip even more special! The Heinz History Center is open every day from 10AM-5PM except for Thanksgiving, Christmas Day, Easter and New Year's Day. 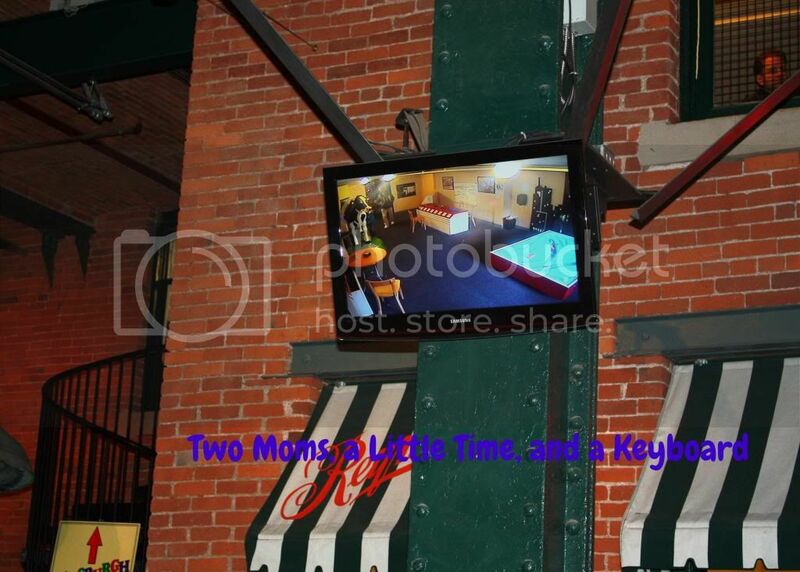 It is located at 1212 Smallman St in Pittsburgh. Admission is $15 for adults, $13 for seniors (62+), $6 for kids 6-17, $6 for active duty Military, $9 for students with ID and free for kids under 6. **Disclosure: We received complimentary admission for the purpose of facilitating an accurate review. No compensation was received. All opinions are 100% my own. I love fun, interactive museums like this! With 4 kids ranging from 3-11, it's great to find something that will entertain, amuse, and interest everyone. The Heinz History Center looks like it would fit the bill! Yes, the museum is great for kids in all age ranges. There is something for everyone! I was so impressed by the Heinz History Center. What a neat museum! It looks a little bit young for my teens, but if we pass through Pittsburgh, we may stop just to take a peek. 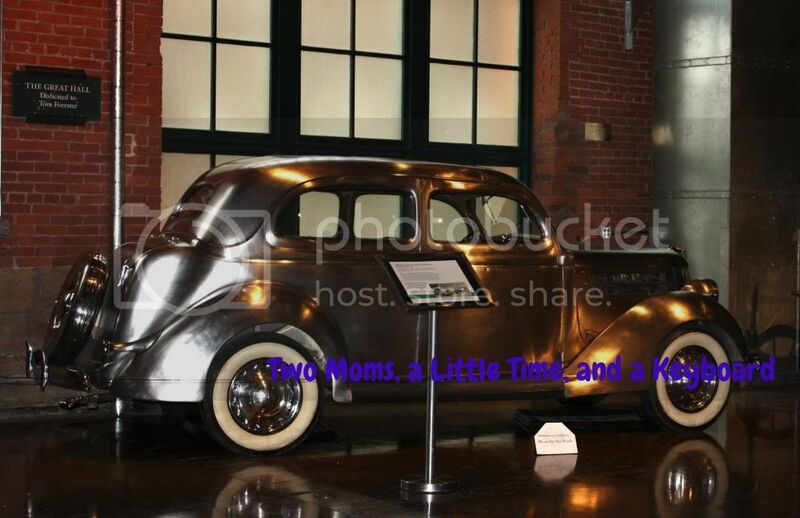 The steel car looks pretty cool and I LOVED Mr. Rogers! Thanks for linking up to The Best of the USA blog hop. I hope you'll join in again next month! The steel care is awesome! You should stop while in Pittsburgh. Definitely, one of the best museums I have been to. I will link again. Thanks for hosting!